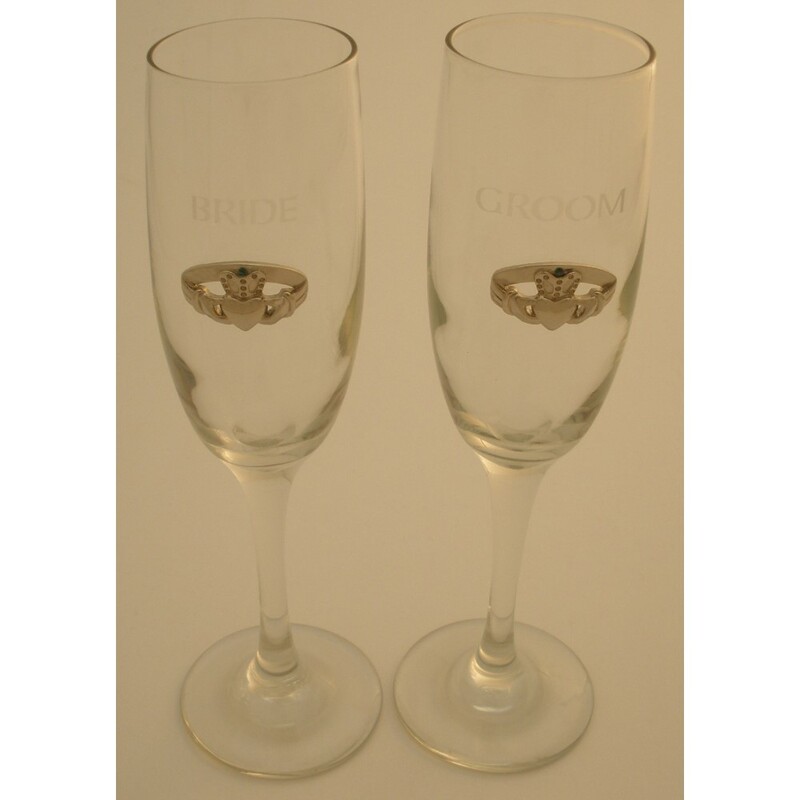 Deluxe Pair Bride/Groom Flutes/Silver-plated Claddagh – The Robert Emmet Company Inc. 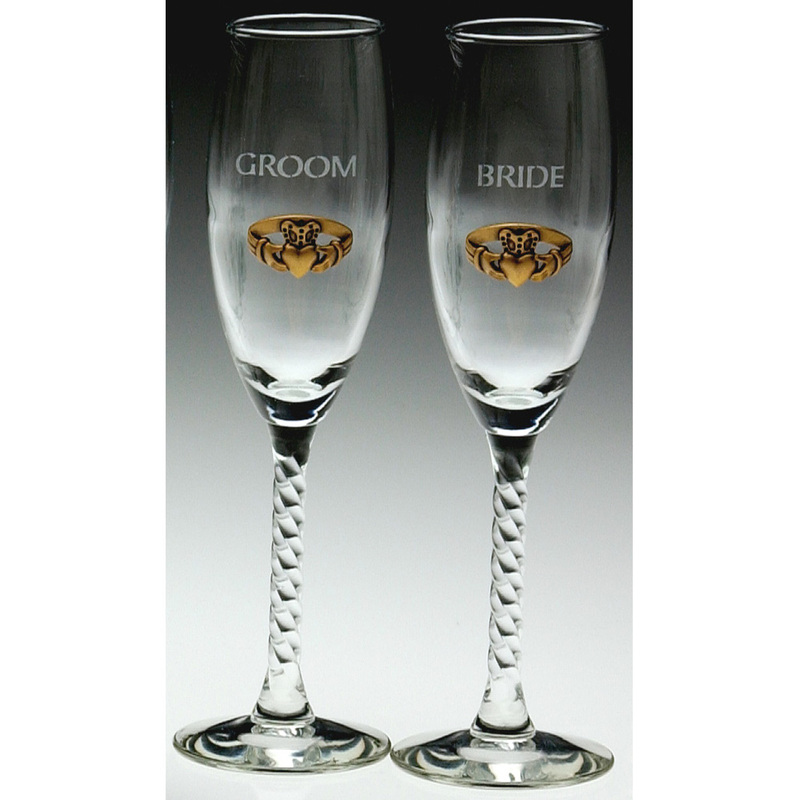 Pair of 11.75 oz. 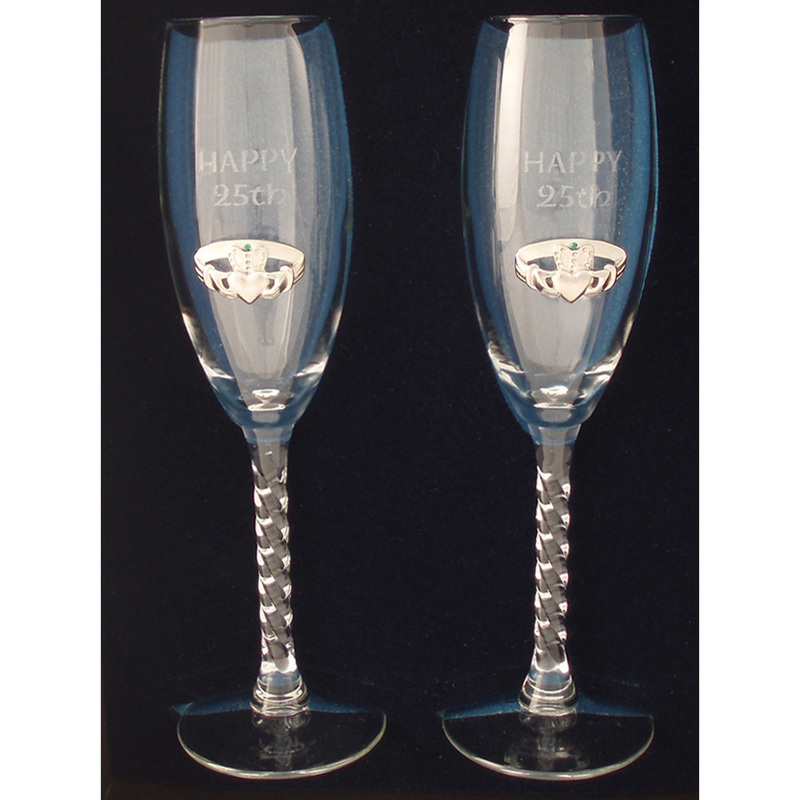 Flute glasses with extra-long tapered stems and silver-plated pewter Claddagh piece attached. 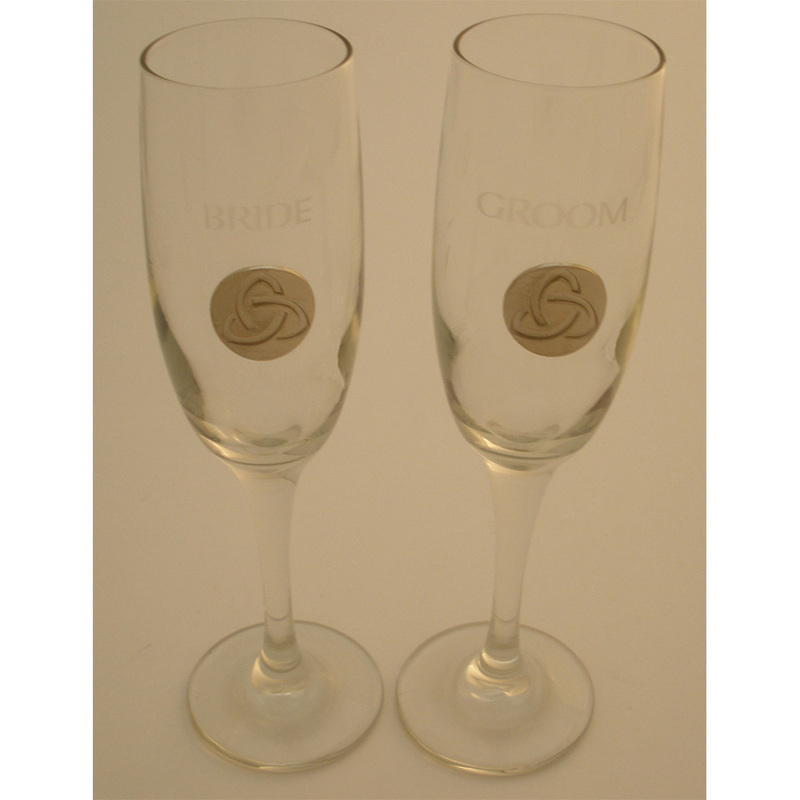 “Bride” and “Groom” etched above pewter pieces. 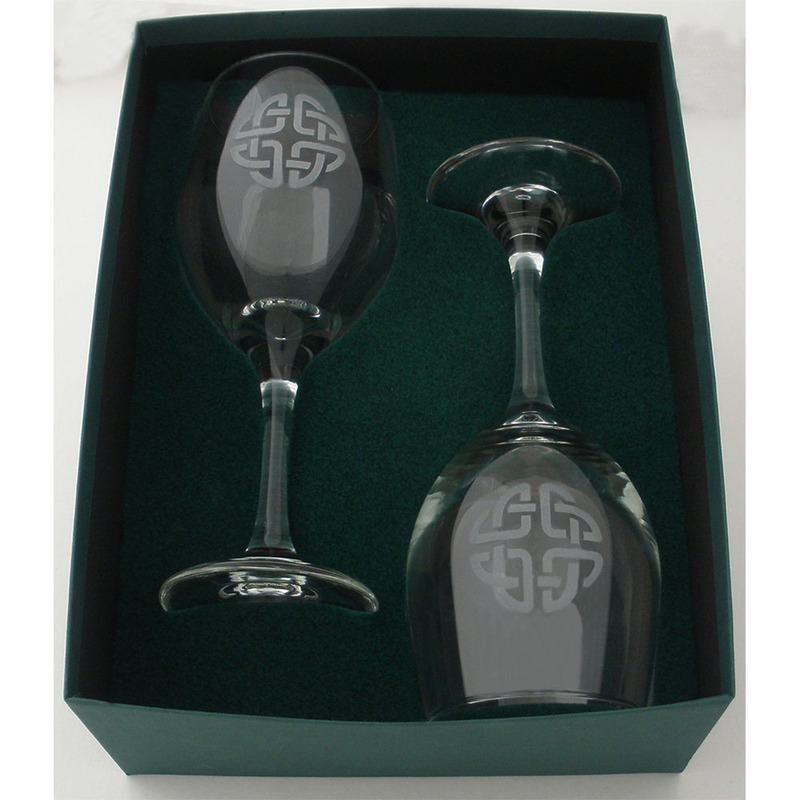 Luxurious gift box with clear cover and custom foam nest for glasses.